Wanting to design a LF antenna for the RDV4 platform (since that's what I bought) but I'm not sure what's up with the three terminal antenna connection. Did a quick test with a multimeter and only the PWR and RAW ports have continuity on the antenna. In contrast to previous designs, the capacitor of the RLC circuit is not on the Proxmark3 Rdv 4.0. Now, it is part of the antenna (pcb). To be able to add a capacitor the Proxmark3 Rdv 4.0 features the GND terminal. 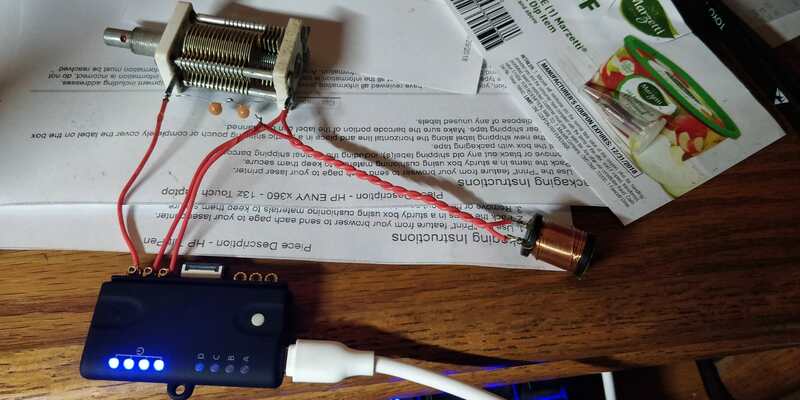 The simplest antenna possible is a coiled wire connected to PWR and RAW and a capacitor between RAW and GND. I suggest you pull latest/compile/flash from RRG repo. The LF support has become much better.